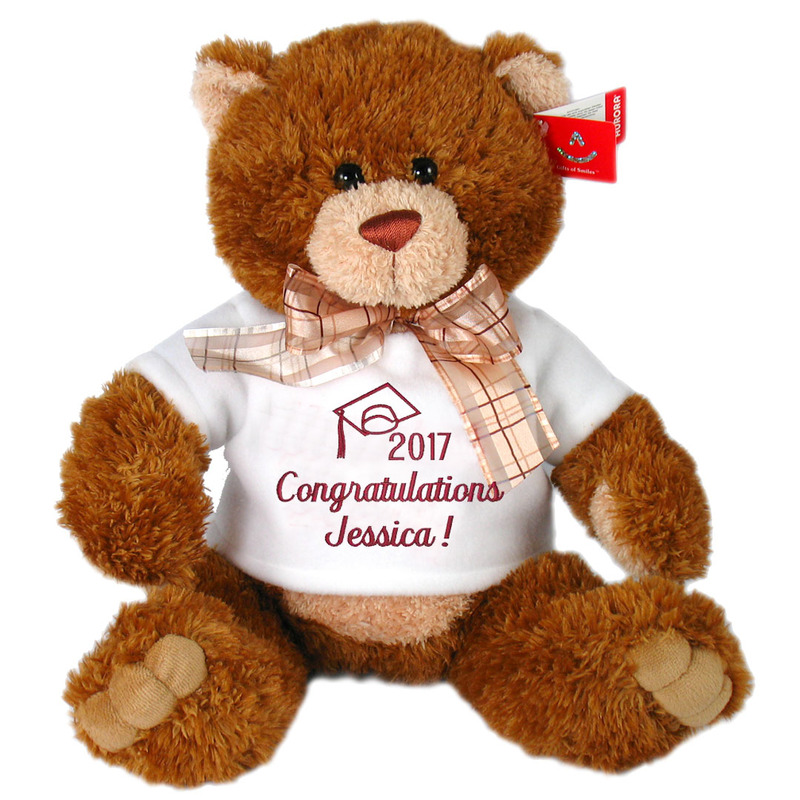 Our adorable Teddy Bear is the perfect way to show your favorite graduate how proud you are! Commemorate that very special milestone in their life with our Personalized Graduation Teddy. Our super cuddly teddy is perfect for a bedroom or dorm room,and will bring back fond memories of their school days. Teddy wears a white shirt embroidered in their school color with their name and graduation year to make an extra special personalized gift!